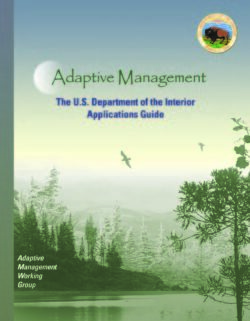 The Interagency Ecological Program (IEP) has been in existence in some form for almost 50 years. 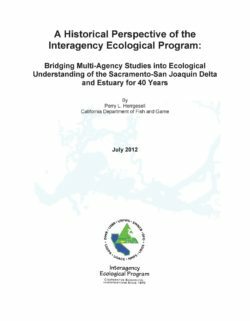 As the San Francisco Estuary evolved due to natural and man-caused perturbations, the IEP has responded by creating and re-creating itself to ensure the best understanding of the Estuary as it was influenced by water project implementation. The goal of the IEP has always been to provide this understanding to managers responsible for water project implementation in the most protective and efficient manner given social, political, and environmental constraints. On the whole, IEP has done an outstanding job of providing consistently useful data and information in a highly complex environment. As new programs and constraints are developed to cope with the ever changing natural environment and demands of society, an understanding of the history of IEP is valuable, and to learn from past experience is wise. 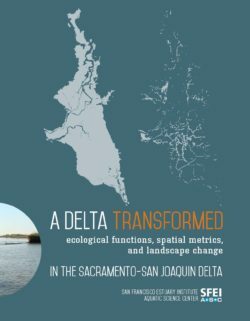 This descriptive history is meant to document in some detail the development, strengths, and weaknesses of this one-of-a-kind multi-agency consortium that has attempted to bridge the gap between water management and estuarine science in the most significant Estuary on the west coast of North America. Sources of information for this account are personal interviews with program participants, annual reports, IEP Newsletters, coordinator meeting summaries, director meeting summaries, management team meeting notes, and personal experiences of the author. This history may err on the side of excessive detail, but that has been intentional; the author believes it is important to have detailed information available in a single reference so that interested parties can readily obtain knowledge about IEP. Some individuals may not want to read the entire report, but can easily be guided to topics of interest by consulting Appendix A, which lists significant events that influenced the IEP by page number in the report. 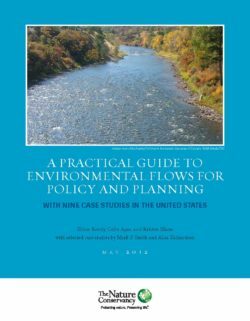 Environmental flows are gaining broad recognition across the United States, and the underlying science is sufficiently developed to support regional planning and policy applications. 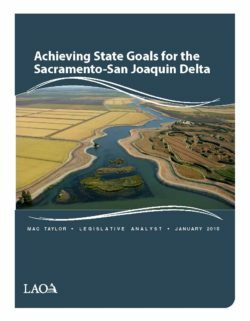 This report explores how six states and three interstate river basins are effectively developing and applying regionalized environmental flow criteria to water resource planning, water withdrawal permitting, and multi-dam re-operation. 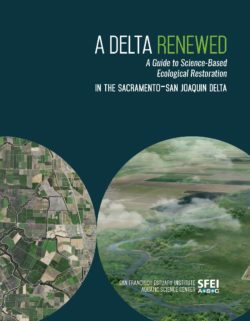 The broad range of approaches they relate clearly demonstrates the feasibility of integrating science-based environmental flow needs into regional water management in the absence of site-specific assessments. 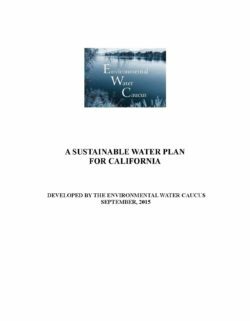 • Regionalized environmental flow criteria apply to all the water bodies across a state or large river basin for which site-specific criteria have not yet been established. 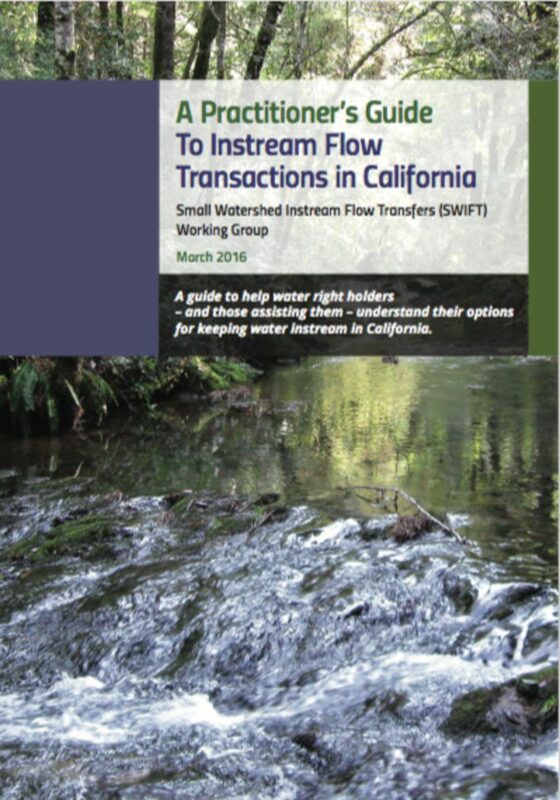 • Flow criteria link explicitly to the health of the entire aquatic and riparian ecosystem, and are not limited to specific species. • Flow regimes mimic natural inter- and intra-annual flow variability. 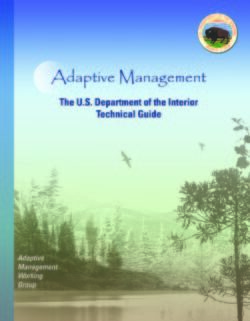 • The development of environmental flow criteria and the policies for their implementation are closely linked. Defining a clear path to policy implementation from the onset ensures that the ensuing science answers the right management questions. • Flow criteria are developed through a transparent, inclusive social process informed by sound science. A structured social process for identifying, understanding, and negotiating tradeoffs is critical. 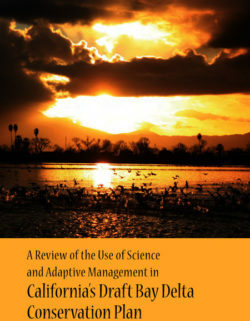 To varying degrees, the Ecological Limits of Hydrologic Alteration (ELOHA) framework influenced each of the case studies. ELOHA is a flexible framework for determining and implementing environmental flows at the regional scale using existing hydrologic and biological information. Major components of ELOHA include a hydrologic foundation of streamflow data, classification of natural river types, flow-ecology relationships associated with each river type, and river condition goals.